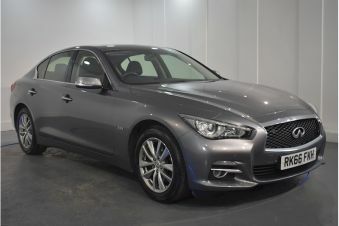 Carsnip are pleased to offer a wide variety of used Infiniti cars. With 697 cars from the Infiniti range available across the country, you’re sure to find the vehicle that’s right for you today. Check out our selection of used Infiniti cars here. Launched in 1989, Infiniti is a relative newcomer to the market. Owned by Nissan, they’re aiming to act like Lexus did for Toyota, and provide a luxury arm of their parent brand. There aren’t too many available in Europe at the moment, but the Q30 was their attempt to help break into this market. It’s a premium hatchback, with plush interior quality and great build quality which allows it to rival the established German brands. Other models in the Infiniti range include the Q60 – an attractive mid-sized coupe, similar to the Audi A5 – and the G37, which is a great alternative to the upmarket and high performance coupes already out there.